Train Sim World: Long Island Rail Road has landed on PC. Read on. Train Sim World®: Long Island Rail Road is now out on Windows PC with a brand-new route for Train Sim World® from Dovetail Games, the multi-award-winning developer and publisher of simulation games. Experience America’s busiest commuter railroad and all the bustle and challenges of railroading in New York City. 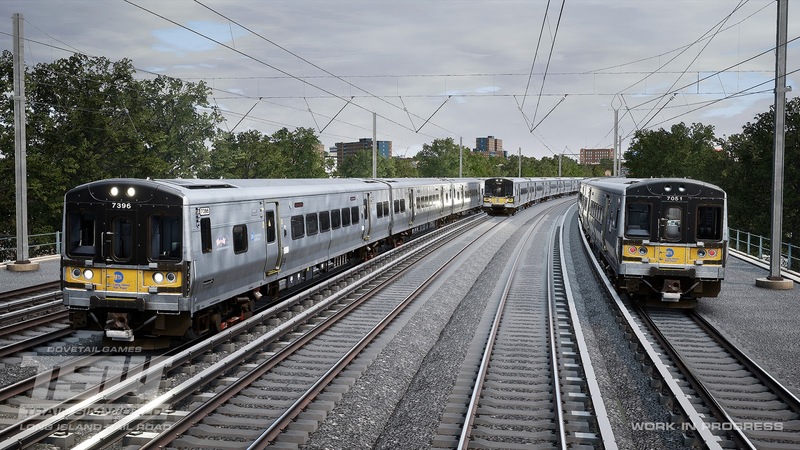 The famed “LIRR” is a critical New York line carrying thousands of commuters every day, and you’ll take the controls of the railroad’s modern LIRR M7 Electric-Multiple-Units (EMUs) to keep the trains moving in and out of the city. You play an essential role in keeping the city alive, and, if you’re late, all that Big Apple business will grind to a halt! Powered by Unreal Engine 4® technology and Dovetail Games’ proprietary SimuGraph® vehicle dynamics engine, incorporating a simulation underpinned with expert technical knowledge and real-world data, the performance, sound and feel of the LIRR have been accurately reproduced to make the trains feel just like the real thing. Explore Train Sim World®: Long Island Rail Road today to experience another lovingly recreated route from Dovetail Games. Explore the Big City: Train Sim World®: Long Island Rail Road features all three of LIRR’s key New York-area stations – Penn Station, Atlantic Terminal, and Long Island City – extending east to Hicksville, New York, and including the captivating Hempstead Branch. Power and Capability: Take the controls of Long Island Rail Road’s workhorse LIRR M7 EMU, featuring true-to-life operating controls and an authentic DC Electric simulation underpinned with expert technical knowledge and real-world data. The performance, sound and feel have been accurately reproduced to make it feel just like the real thing. Dashing Commuter: It’s your job to deliver New York area commuters to work and back on time and happy, calling at a total of 26 LIRR stations. Experience the excitement and challenges as you navigate LIRR’s main line and make your way through key New York-area stations such as Penn Station, Atlantic Terminal and Long Island City. Whether you’re at the controls of a LIRR M7, riding along or watching the show from trackside, you’ll soon fall in love with the Long Island Rail Road. 42-mile route including 26 stations on the Long Island Rail Road, extending from New York Penn Station to Hicksville, New York. The route also includes Atlantic Terminal in Brooklyn, Long Island City station, and the LIRR’s Hempstead branch. Highly detailed, feature-rich driving cab for the M7 Electric-Multiple-Unit with accurate performance, true-to-life handling and detailed sound recordings. Five detailed and engaging scenarios for the route. 100 collectibles for you to find all along the route. Accessible tutorials for the LIRR M7 to get you started quickly. Train Sim World®: Long Island Rail Road is now available to purchase on Steam for owners of Train Sim World®.